With a Practitioner or by self-instruction? An EFT or 'Tapping' session is something of a combination of instruction, coaching and therapy. At it's most basic even newcomers can occasionally get spectacular results when they download a basic instruction manual for free and experiment on themselves. At the other end of the spectrum, guided by the shining example of Gary Craig, EFT's founder, EFT Masters and Level 3 Practitioners have trained for hour upon hour over years refining the art of its use. Such practitioners provide the best introduction to EFT either at a one-to-one session, tapping group or workshop. So you can teach yourself from manual, book or DVD, learn at a one-to-one session with a practitioner, or attend a workshop. If you don't fancy working on your issues on your own and can't afford a session or two with a practitioner, you and a close friend could learn EFT together and work as 'EFT buddies', maybe occasionally checking in with a practitioner for guidance. Whichever way you choose, you have the chance to acquire a skill for life that can change your life. Please always be prepared however to seek help from a qualified practitioner if something you are working on becomes more complicated or emotionally challenging than you had first thought. Look after yourself! Please be aware that standards of understanding, experience and facilitation of EFT vary widely. AAMET International has been formed with the aim of maintaining and promoting standards of excellence in EFT. The website www.aametinternational.org is a great resource for finding both excellent practitioners and training workshops in many places across the globe. Please call me to talk about it. I'm always happy to answer any questions without obligation. You may be wondering what would suit you best - one-to-one or tapping group or course, or you may be wondering in what way EFT could help with the particular challenges you have to deal with, or you may have other questions. Whatever it is I am always happy to discuss with you; you will not be a burden on my time with your questions; I just love sharing the wonders of EFT with people, so just phone and chat. If I happen not to have the time available to do your enquiry justice when you phone, I will arrange to call you back. If you get my voicemail, please leave me a message and I will get back to you. You can choose the length of your session. I usually recommend no less than one and a half hours for a first session but you can have anything up to a full day and subsequently you might just want top-ups as short as half an hour, perhaps by phone. An EFT session is your opportunity to have the undivided attention of an experienced practitioner and trainer to demonstrate and teach the applications of EFT to you and to facilitate your experience of the benefits of EFT. Expect to be listened to. Expect your feelings to be gently accepted without judgement. Expect support to find positive resolutions to the challenges you face. Expect to find new insights and perspectives. Expect to feel lighter, more relaxed. Expect even after your very first session to have a new emotional first-aid tool you can use for the rest of your life. Expect to feel more accepting of yourself just as you are, as you more confidently find your way through this one wild, precious, wonderful life. Be ready to release unwanted negative emotions that may have been causing you difficulty, physical symptoms even. Be ready to release negative beliefs that may have been keeping you stuck. Phone or email me to make an appoinment for one-to-one EFT / Tapping instruction followed by coaching/therapy either in person in South Molton, North Devon, UK or over the phone or Skype. Click here for details of fees and payment options. I am an AAMET-registered EFT Trainer and qualified teacher with many years of experience in education, equally at home presenting EFT to groups as facilitating EFT in 1:1sessions. I have a passion for sharing the wonders EFT can bring. EFT can be used as a self-help technique, a life-skill we all can learn for help with many of life's various challenges and lends itself well to facilitation in groups and workshops. You might just want to come to a workshop to find out how to use EFT to make life a bit easier. Or come on a one-day AAMET EFT Level 1 course and learn all the basics of EFT. Use the Courses drop-down menu at the top of this page to find the option that is right for you. an understanding, accepting, non-judgemental atmosphere to give and receive mutual support. Whilst it is always preferable to learn from a knowledgeable instructor, it would be contrary to the spirit of EFT not to mention the many resources that are available at low-cost or even free, enabling anyone to teach theirself the basics of EFT. DIY EFT or EFT with a Practitioner? The basic EFT technique is extremely simple and safe, and a great self-help tool. Complete novices can work on themselves or their family applying the ‘basic recipe’ to both emotional and physical issues and regularly experience success rates as high as 50%. However, there is more to EFT than knowing the tapping points and how to construct simple statements. There are many refinements and application skills, which an expert (Level 3 or Master) EFT Practitioner will have spent much time acquiring through both study and practical experience. Typically, success rates when doing EFT with such a practitioner range from 80% upwards. Therefore if apparently unsuccessful, avoid blaming EFT as a therapy. Lack of results could well reflect your personal level of skill and experience. There is a good chance that working with an experienced EFT practitioner will help you. This need not be expensive (most people who choose to work with a practitioner achieve a major health or performance goal within 1-4 sessions), but will certainly be a worthwhile investment in your future. 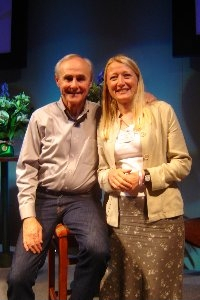 If you are considering using EFT to deal with any major trauma, long-standing, deep-seated or complex emotional issue, you are advised to do so with the guidance of a suitably trained and qualified practitioner and to be aware that EFT is just as likely to work subtly over time as to provide the one-minute wonder that it has become famous for with simpler issues. Persistence in such instances is vital - you may need the encouragement a practitioner can provide. Even experienced EFT practitioners often choose to work with another practitioner or tapping buddy in preference to doing EFT alone. Here are some reasons for engaging with a practitioner to facilitate your use of EFT. The user’s ability to tune into the problem is the most important factor for success. The 'art of delivery' of the EFT practitioner is in asking questions that lead to the core emotional issues and an experienced practitioner has appropriate training and, as an outsider, is better placed to achieve this. Experienced practitioners also know extra tapping points and techniques to help in more difficult cases. 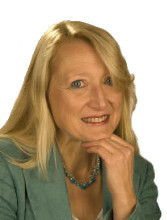 In cases of overwhelming emotions like severe trauma and abuse, it is advisable to work with an experienced EFT practitioner who can use gentle approaching techniques as well as other skills, and be available to reassure. Practitioners can see issues from an outsider perspective. It is very healing when someone else sees the beauty in you that you cannot see from where you are. Combining the energy and intention of two people that are sharing a single purpose (practitioner and client) has a more powerful effect. Sometimes just the fact that another person is tapping with you can make a difference.